For more than 150 years the Melbourne Cup has been the pinnacle of the Australian horse racing calendar, seeing the nation come to a standstill for a 3200m horse race that lasts a little over three minutes. 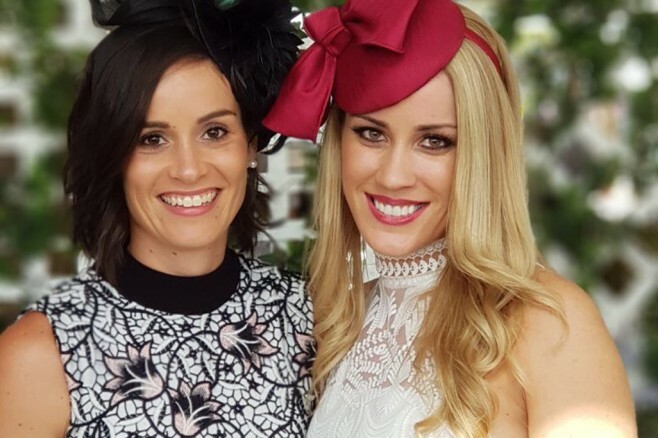 This year will be no exception, with the Melbourne Cup promising to be an event celebrated across the nation in cities and rural outposts alike. At George’s Mediterranean Bay and Grill, we proudly mark the Melbourne Cup tradition at our Darling Harbour restaurant each and every year. As we order in the champagne, seek out the finest fascinators and carefully curate our canapes, here’s an insight into the history of the Melbourne Cup and how we’ll be honouring the race that stops the nation in true Sydney-style this year. It was 1861 when Flemington racecourse set the stage for a horse race that would become one of the most anticipated social events on the nation’s annual calendar. At the time a Victorian Turf Club member put forward the idea of a spring racing event he chose to call the Melbourne Cup. That first year would see 17 horses take to the track battling it out for the modest sum of 710 gold sovereigns and a hand-beaten gold watch. It was anything but an uneventful first race. One horse bolted at the start and three of the 17 starters fell during the event. This played out before a modest crowd of just 4000, with news five days earlier of the death of explorers Burke and Wills likely diminishing the expected turnout for the event. By 1865 the gold watch had been replaced by a trophy and the winning sum steadily grew, with the prize pool for the 2018 Cup weighing in at a much more handsome sum of $7.3 million. Last year the event attracted a crowd of over 90,000 with a further 1.8 million people viewing it live. This year, George’s Mediterranean Bar and Grill will be hosting an exclusive canape cocktail party to celebrate the Melbourne Cup, offering a Sydney harbourside backdrop and fine fare to mark the occasion. Featuring prizes for the best dressed, sweepstakes, big screens, a photo booth and DJ entertainment, the event will offer the glamour few the chance to enjoy an exciting day of race atmosphere. The $99 per person ticket price includes fine fare offered courtesy of grazing tables, seafood stations, canapes and desserts, along with champagne served on arrival and wine and beer served throughout the day. Doors open at 12.30pm with more information available here and tickets available online.